A performance t-shirt your body will love. 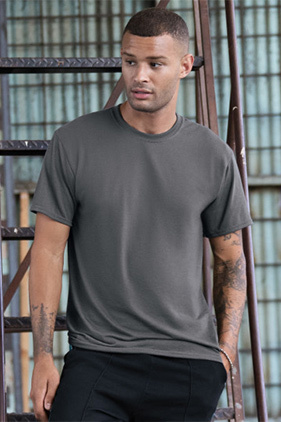 100% polyester pre-shrunk jersey 5.3 ounce performance t-shirt. Moisture wicking with odor control. Shoulder-to-shoulder taping. 1x1 rib collar with two-needle coverstitching on front neck. Two-needle hemmed sleeves and bottom. Quarter-turned to eliminate center crease. Ideal for sublimation printing. Tear away label.